Bernadette Fletcher is a director in Katz, Sapper & Miller's Audit and Assurance Services Group. She audits and reviews financial statements and advises clients in accounting, reporting, compliance, and internal control matters. Bernadette has over 30 years of experience and specializes in employee benefit plans, including plan administration, ERISA audits, and consulting. Bernadette received a Bachelor of Arts degree from Maryville University and a Master of Business Administration degree from Saint Louis University. Bernadette is a member of the American Institute of CPAs, the Indiana CPA Society, and the International Foundation of Employee Benefit Plans. 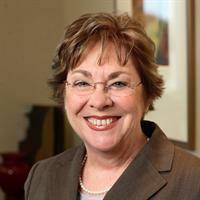 She also serves on the board of directors of the Indiana Benefits Conference, the board of trustees of Dance Kaleidoscope, and formerly served on the board of directors of the Ronald McDonald House of Indiana. Bernadette is an alumna of the United Way Executive Women’s Leadership Program and an officer of the Ridge Civic Corporation. In 2008, Bernadette was named one of "Indiana’s Super CPAs" by Indiana Business magazine, an annual listing of the state’s leading CPAs as chosen by their peers.